If you find yourself making the same resolutions year after year but rarely achieving them, you’re not alone. The majority of those who make resolutions will give up before they ever really get started. According to leadership gurus at FranklinCovey, 35 percent of us who make New Year’s resolutions break them by the end of January. And for all the good intentions, only a tiny fraction of us keep our resolutions. Researchers at the University of Scranton have found that just 8 percent of people achieve their New Year’s goals. Are you part of the 92 percent who make resolutions only to find you’ve given up before you ever really got started? 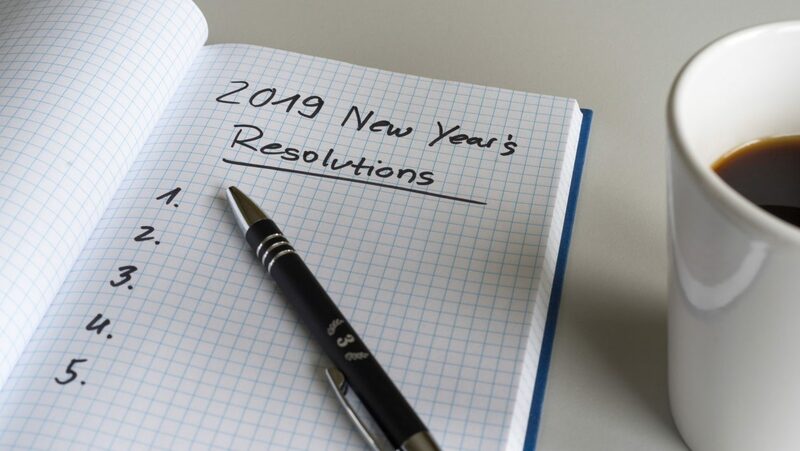 A recent study by Richard Wiseman from the University of Bristol involving 3,000 people showed that 88 percent of those who set New Year resolutions fail, despite the fact that 52 percent of the study’s participants were confident of success at the beginning. People achieved their goal 22 percent more often when they engaged in goal setting, (a system where small measurable goals are being set; such as, a pound a week, instead of saying “lose weight”). Generation X (aged 35-54) found it more difficult to achieve their 2018 New Year’s Resolutions than any other age group. Despite this, more Baby Boomers (aged 55-74) failed their 2018 resolution than other age groups, with too unrealistic expectations the most common cause. Out of those who broke their 2018 resolutions, Gen X broke their goals within the first three months than other age groups. Gen Y (aged 18-34) shared their goals with family and friends on social media and were also more positive about sharing their goals, with 72 percent claiming that sharing their goals helped achieve them or stick to them for a longer period of time. Gen X headed into their 2018 goals blindly, with 12 percent unsure of how they would achieve their goals. Baby Boomers were most often to have a plan compared to other age groups. Thus, behavior experts have found that one of the most common reasons we break our New Year’s resolutions is that we get a little overzealous when we make them and we over-commit. And as a result, over 40 percent of us blame our busy schedules for our lack of follow-through.